Picture Impressions: The individual titles above are now linked with a small picture series. Impressions on our trip ... partly I have provided the pictures with comments or further links, others simply speak for themselves ... enjoy! In 2010, we (my then girlfriend Frauke and I) bought us an old VW bus ("Bully") (T3 - or for the pros: T2-type3), which should be our home for a multi-week holiday. With the most necessary, what you need (bed, water, stove and heating) we started in April unplanned with the final destination "Scotland". There were only two stations that influenced (planned)our route: Frauke's English pen pal Tracy, near Nottingham, and "Granny Scotland" in Banff, the grandmother of a friend with Scottish roots, whom I cordially thank for some holiday weeks a few years before. In short, this time with the VW bus was one of my most impressive experiences ever. Not only the incredibly beautiful landscape - also the warm and very helpful people have touched my heart. Anyone who has ever been there will be able to confirm this. So this experience became the theme of my CD "JoyN Scotland". The individual titles usually have a reference to a place (yes - there is really a small town called "whatstandwell" ;-), under the title details on the left are some pictures linked ... have fun watching. I am particularly pleased about the cooperation in the last three tracks of the CD: in "whatstandwell" my brother Heiner plays his didgeridoo to my music. Anyone who knows my "Drachenlied" and the backgrounds knows for sure how much that means to me. In "Highland Echoes" you can hear Frauke, who has decided to play the flute for some time (for me, an instrument, on which I can not even put my beerbottle, would be out of the question ;-). Also, our friend Steffi is represented in this song with her flute, e.g. playing the high part. And Steffi's friend René deals recently with the saxophone - so it was only logical that he could contribute a part in "Stoer Head Lighhouse" which I previously only could fill with an average sounding "electronic" sax sound. Thank you again for the exciting cooperation! 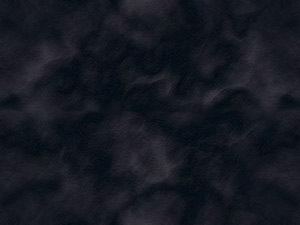 You will find my music as MP3-download at CDBABY. 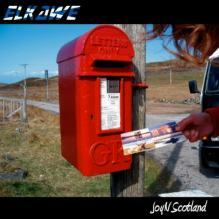 The "JoyN Scotland"-CD is also available at the Barrensteiner Whiskybar in Grevenbroich. The visit is not only worth it because of my CD ;-) - here you can experience for yourself how an evening with live music in a Scottish or Irish pub has to feel. A pint from the large selection of British beers or a really great whiskey ... a great experience! "Your music almost makes me cry, I just say Steamin, but I also like other tracks on the CD, and you did a terrific job for me"
"Great music / successful thing, great for dreaming and relaxing." "You've done a masterpiece with your "Companions"... It's truly a CD that brings joy or power in any situation." "I'm very excited about the - JoyN Scotland CD - great sound, you can tell, there's really something on it." "Years ago, I've been in Scotland for a few weeks, and now, when the CD is up, it's like you're back. Did you do great."